National platform combined with proprietary software to be used to power regional web site properties throughout nation. COMMACK, NEW YORK, USA, February 23, 2017 /EINPresswire.com/ -- Long Island Media Inc., whose digital properties include LongIsland.com, has announced its automotive shopping experience is now exclusively powered by its 2015 acquisition of LIUsedCars.com. LIUsedCars.com is an internet portal where franchise used car departments and pre-owned vehicle dealerships list their inventories to consumers in Nassau, Suffolk, Brooklyn and Queens Counties allowing buyers to browse the largest selection of used cars local to their area. The service also acts as a lead generation provider distributing leads from syndicated vehicle ads on other automotive shopping websites. Long Island Media Inc., owner and operator of both LongIsland.com and LIUsedCars.com, is a Long Island focused digital media company which expanded in September 2015, following the merger of LongIsland.com with then competitor “Long Island Exchange” and its associated websites; this included LIUsedCars.com. After just one year of additional media muscle on-deck the automotive division expanded its scope to unprecedented degrees. In the period between Aug. 6, 2015 and Aug. 6, 2016, the LIM automotive vertical saw an astonishing 444 percent growth in the number of users of the service; in addition, the number of page views increased 328 percent with the number of individual sessions up 487 percent, putting LIUsedCars.com on the automotive map in New York state not to mention signifying an impressive business achievement through acquisition. 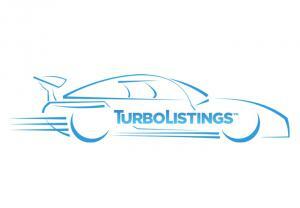 The business’s national platform, simply addressed at “Find.cars”, combined with its proprietary software called TurboListings.com, will be used to power other regional web site properties throughout the nation. “We’ve got a model, it’s built, it’s working here on Long Island, and it’ll work elsewhere across the nation. Now we need only to connect with other major regional portals who are seeking new and innovative ways to further monetize their geographic web properties and we have built a system to do just that. Historically, it’s cars and real estate which have always been the leading provider of revenue to most Newspaper businesses; now it is about building this foundation into what has become primarily - a digital world where newspaper websites are often online only, regional in coverage, and followed by .com.” Colascione added. The company is seeking opportunities with major regional .com sites for implementation of Find.cars technology onto their .com domain names. If you are the owner or operator of a major destination site and are interested in hosting cars.majorcity.com contact them today at 631-406-4410 Extension 203. Long Island Media, Inc. is digital advertising agency superior for its public relations and marketing communications. The only truly geographic ‘.com’ company with both a national and international reach, Long Island Media, Inc. is an accredited member of the Better Business Bureau®, a Google Certified Partner Company, and owner and operator of LongIsland.com, Long Island’s Most Popular Website, Since 1996, giving Long Island Media Inc., a significant advantage in public relations, particularly for clients in the Long Island region.